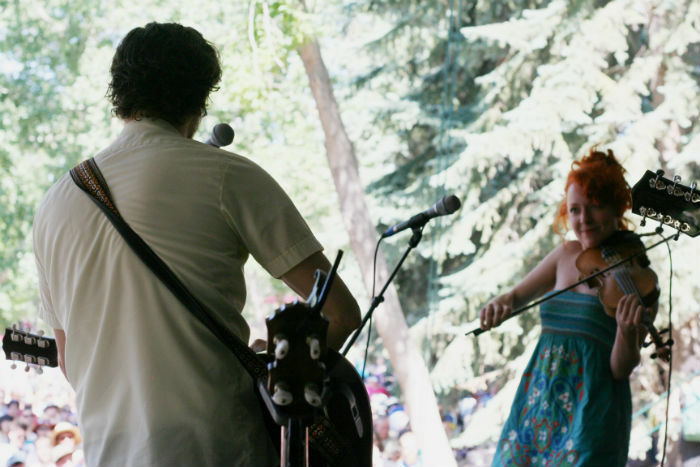 Posted on July 28, 2014 by Amy P.
The Calgary Folk Festival is an annual event for me – I have attended festivals across North America, and this one continues to be my most favourite. I love the laid back atmosphere, seeing friends, hanging in the park, and of course the diverse and amazing music that brings all of this together. Lately, I have heard some complaints about the sea of tarps that line the main stage and the relaxed atmosphere of fans. I am an avid concert goer and must admit that these are some of the things I love about the festival. I think it provides a more accessible event, where families can bring their children, less mobile people can find a place to perch, and others can sit back and soak in the tunes, without feeling the pressure of rushing the stage. Thursday night was all about enjoying main stage while happily relaxing on my tarp, The highlight of the evening for me was Valerie June. She played without a band, and at first the sound was slightly off. She has an incredibly powerful and distinctive voice, and in the beginning it was overly loud. Without a band backing her, it was a little overwhelming. However, part way through her set, the sound was sorted and it went on to be amazing. She played all of my favourites, but I particularly loved “Workin’ Women Blues”. Everything came together just right for that song, and it was truly wonderful. I also enjoyed St. Paul and the Broken Bones, Hey Rosetta! and Andrew Bird. A perfect line up for the first night, I couldn’t wait to come back on Friday. Friday started strong with several collaborative stages, but the stand out for me was A Tribe Called Red. They played the Twilight Stage (also known as Stage Four), which offers an opportunity to have a more intimate experience with the performers, as it’s a smaller stage. The grass was packed with people, and the moment they started the crowd was on their feet and dancing. High energy, engaging, and diverse, these guys blew the crowd away. 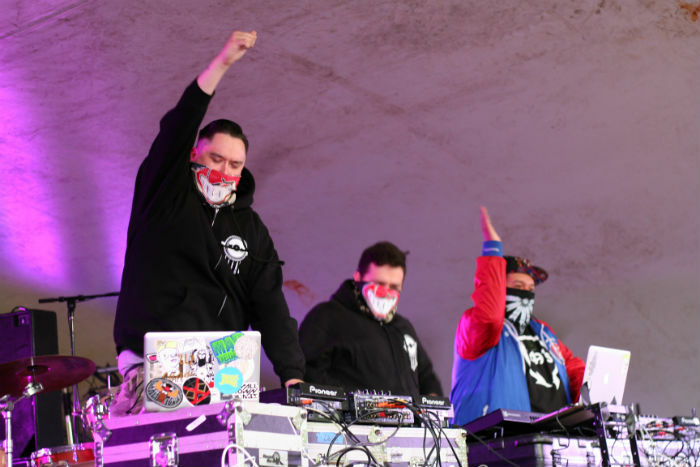 With a mix of electronic,chip hop, and self coined “pow wow mash-ups”, their blend of traditional and modern elements makes for a unique experience. Their point of view is clear, and they discuss issues of racism and oppression, yet manage to maintain a safe and fun environment while staying true to themselves. To enhance the whole experience, a traditional hoop dancer entertained and impressed the crowd, and his enthusiasm was intoxicating. The engaged crowd jumped, danced, and even stage dove throughout the set. It set the tone for my entire night, and I think I could fairly say that the set ended up being a highlight of the whole festival for me. Friday night also offered a great main stage – my favourites being The Great Lake Swimmers, and Amos Lee. The Great Lake Swimmers played an earlier set and although I have seen them before, I thoroughly enjoy every performance. They are such an easy listening band, and are incredibly talented. Their music is emotional and catchy, and you can’t help but be swept up in the moment. Their music is the kind that you play over and over, so when you get to hear it live, you know every word. I also really enjoyed Amos Lee. He commanded the stage and played tons of familiar hits, including some amazing covers. He got the crowd dancing with a rendition of Queen’s “Fat Bottom Girls” and Beyonce’s “Single Ladies”. People all the way to the back were boogieing away. Lee holds the stage with a true confidence that is irresistible. This was truly fantastic set. 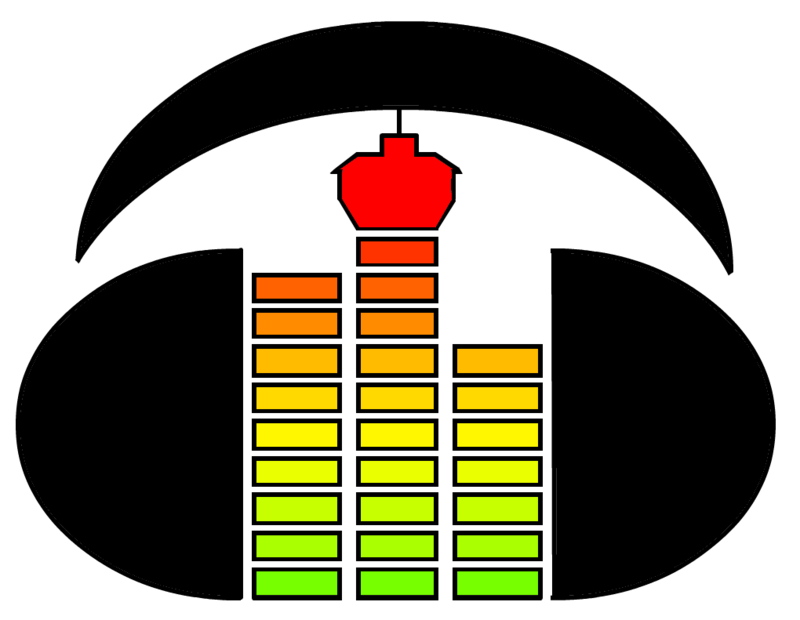 Saturday’s schedule was jam packed with 14 hours of music to choose from, so you really couldn’t go wrong. The collaborative stages are always great, and it’s interesting to see what will happen. One of my favourites on Saturday was called Party at Ground Zero – and it really was a party. An eclectic mix of St. Paul and the Broken Bones, Fishbone, and Debo Band had the crowd on their feet and managed to provide space for each band to highlight their talents, while enhancing each other as they went. The musicians commented that its the only festival that throws musicians together with no expectations of what they come up with. These guys provided a sunny dance party with all the eclectic beats one expects when there are no expectations. Main stage had some heavy hitters, with so many great performances. I really enjoyed The Lone Bellow, who featured exceptional harmonizing abilities to back up their strong song writing abilities. The result is a beautiful and powerful musical experience. They were a great start to Saturday’s main stage. I also really enjoyed Jason Isbell, a former band member of the Drive by Truckers. He has pursued a solo career since 2007, and after some personal struggles and triumphs he has really come into his own. Known for his songwriting chops and beautiful vocals, he was absolutely impressive. Sunday started slowly for me – after three amazing days of music, I enjoyed the mellow vibes and beautiful weather. I managed to catch part of the wonderful grouping of the Great Lake Swimmers, Deep Dark Woods, and Hello Moth, and this stage was magnificent! I also really enjoyed Jill Barber; her timeless style and retro sound were a huge draw. Playing at a shady stage, surrounded by trees, she created a lovely experience for her fans. People walking by couldn’t help but stop to have a listen. Later in the day, HYDRA played to an excited crowd, who were given a collaboration of wonderful musicians whose combined talent enhanced each others’ work. The members are a “super group” of Snowblink, AroarA, and Leslie Feist. They sounded absolutely wonderful, and it will be exciting to see what will happen the longer they work together. Overall, I had a wonderful folk fest experience. This year brought another solid lineup and like always I enjoyed some old favourites and was introduced to some new and amazing musicians. I’m already excited for next year!